Coming to Valor Christian for high school wasn't an easy decision for me to make. I came from a place where I was comfortable and had known everyone since I was in preschool. I could be who I was, everyone knew me and everyone accepted me. I was a believer in God, but I didn't live my faith in the lifestyle of a true Christian. After being accepted and enrolling at Valor late last May, my mom received a phone call from Coach Pieratt. He talked to her about being a part of the Valor summer baseball team. I had just broken the growth plate in the wrist of my throwing arm but was still able to join the team for workouts. I was really excited about this opportunity and I thought it would be great to meet some of the other baseball players. Nine days before my cast was supposed to come off, an unnamed accomplice and I decided it was time to remove the cast on our own. We searched through my dad's tool boxes until we found the right tool to remove it and worked and worked until it finally broke free. With the cast off, I was able to "carefully" play some baseball again. Five days after that, Coach Pieratt let me pitch. With my coach's confidence in me, a well called game by our catcher, and some great defense, I was able to throw minimal pitches in three shutout innings. Later in the summer, I was playing third base and I flat fell apart in one inning. I made error after error. The inning finally ended and I wasn't sure if I was relieved to get out of it or scared to death to have to head back to the dugout and face my coach. I'd had a similar experience in a game when I was 11-years-old and my coach at the time felt it was important to belittle me in front of everyone. He was so demeaning that the coach on the other team even felt sorry for me and tried to pick me back up and help me get through the game. That experience and that coach made me question everything about baseball and whether I even wanted to continue to play this game that I love. Now here I was, having a similar inning and my head was spinning. As I ran across the field back into the dugout, my shoes felt as if they were filled with concrete. I ended up right in front of Coach Pieratt, scared I was going to be yelled at. Baseball had once again become a place where I could feel comfortable in my own skin. What was going to happen? Was my love of the game going to be shaken again? Wait. What was happening? Coach Pieratt's lips were moving, but I didn't hear what he said. He wrapped his arms around me as if to say "It's ok, you've got this!" His confidence in me from the beginning of the summer was still there. 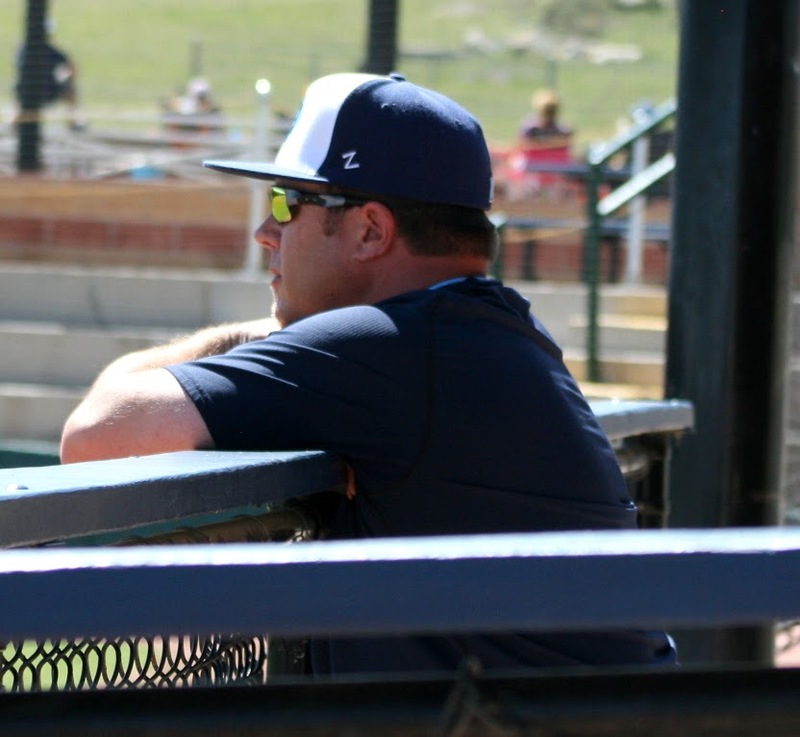 Coach Pieratt renewed me that day on the baseball field and I was so excited to see beyond that game and to be a part of Valor baseball. I know that if I stumble along the way, with God's love and the encouragement of the Valor baseball coaches, I will always be guided down the right path, on or off the field. Baseball renews my faith in God everyday.